Classroom Resources > Book Excerpts > Whiff! 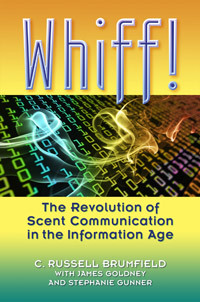 This book reveals how promising new applications for fragrance soon will heavily impact every aspect of our lives and culture. Chapter 10 discusses branding and how to determine a company’s “Whiff Factor”, by going through an elemental analysis of the many facets of implementation. Reprinted with permission from author and Quimby Press.